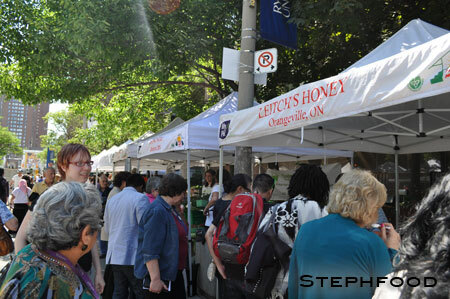 Today was the first day of the Ryerson Farmers’ Market, right out in the middle of the pedestrian zone on Gould St. Ever since they first closed the street off to traffic, I have been hoping there would be a farmers’ market. Only a little bit hampered by the construction happening on Gould right now, the market got off to a great start with a handful of local farmers and producers. I can only imagine how great it will be once the construction is over, and the market is able to flower. So great!